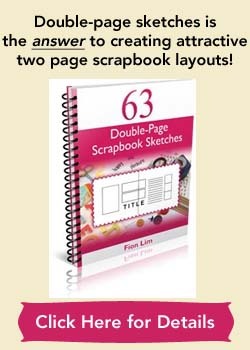 Want to try out free digital scrapbooking? 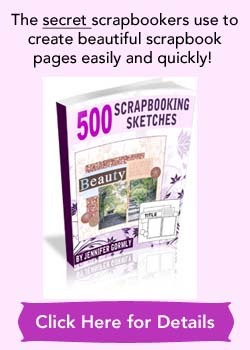 Don’t want to spend money to buy a digital scrapbooking software? I get it. When I don’t have to pay for something that I need to use, it feels good. This page used to be about free digital scrapping tutorials I’ve found and shared with visitors. But in late 2017, a site visitor kindly pointed out that two of my three links were broken. Oops. I checked out all the links and true enough, none of the sites I used to link to offer any more tutorials. Well, the colorful world of digital scrapbooking offers wide possibilities for those who are willing to search and learn how to use the editing software to create pages of beautiful scrapbook layouts. Digital scrapping can be very fun and highly addictive. I know because I’ve switched from traditional scrapbooking to digital scrapping in mid-2007. Don’t get me wrong, I still love traditional scrapbooking, nothing beats feeling the textures of papers and embellishments. Traditional scrapbooking is what got me interested in scrapbooking in the first place. But space constraint took away my desire to scrapbook in 2007. I’ve given up my craft table to house my new computer. From then onwards, I jumped onto the digital scrapping bandwagon. It opened up a new way for me to continue scrapping and to keep recording my favorite memories. For beginners, getting started on digital scrapbooking can seem like a daunting task at first… Don’t we all feel like lost birds at times, especially when all we know is of sending emails and reading blog posts? Have You Heard of Canva Before? Then it hit me, I’ve been using this free, simple online graphic design software called Canva the past few years to create graphics for blog posts. And when researching for a free digital software for this article, I tried my hands on using it to create a digital scrapook layout, and voila! It’s simple and easy to do since I’m already familiar with using this free online tool. The above digital layout is what I’ve done using Canva. The background and other elements are all from Canva. The photo is mine. It’s my son. For beginners, you can visit their Tutorials page to learn how to create amazing designs using this free online graphic software. When you’re ready to sign up for an account which is free, you can go here. Yes it doesn’t possess all the customizations that Photoshop Elements or Photoshop has to offer, but I think for beginners, Canva is a great option. And what’s better? I’ve just found a video tutorial by Jessica Stansberry where she’ll show you how to create a simple digital scrapbooking layout using Canva! The video is slightly more than 16 minutes but you’ll get to see her creation step by step. 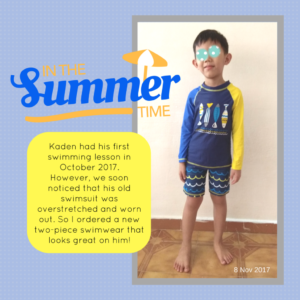 If I am to create any new digital scrapbook page in future, I’ll be using Canva to do it. It’s easy to use, fun, and the design software is free. Doesn’t get better than that. If you’re new to digital scrapbooking and want to try it out for free, give this free digital scrapbooking software a go.